Happy Friday! How was everyone’s week?? Honestly this week was a harder one, and I’m wiped. 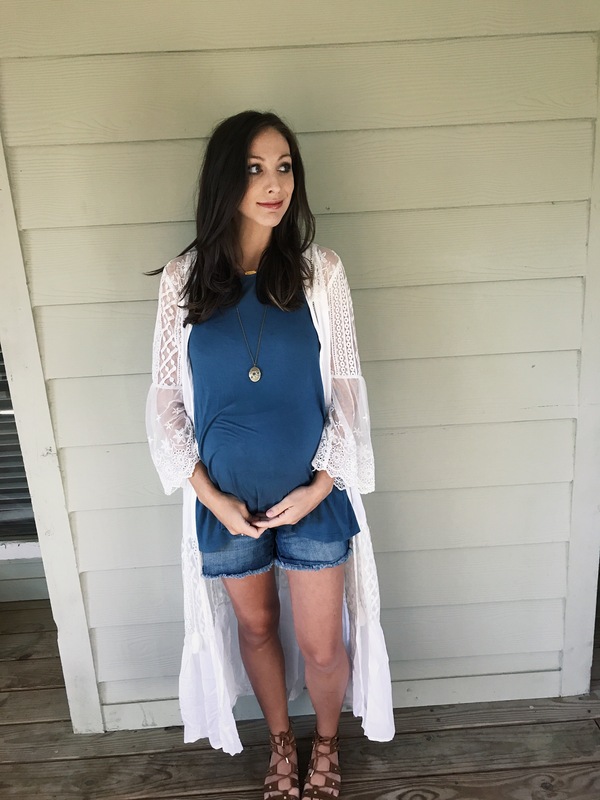 But I’m 34 weeks now and we had our 34 week ultrasound and checkup! Which I’ll be posting an update on later, but the baby boy is measuring just over 5 pounds already! I have a feeling he’s going to be a big guy…Lord help me haha. Y’all, I love a good cardigan or kimono, that’s the truth. Mostly because when it’s so freakin hot outside and I’m pregnant, I basically live in a tank top. But sometimes tanks are just plain and boring and they need something breezy and fun on top to make the outfit look cute! You guys know my obsession with Pink Blush is SO real. 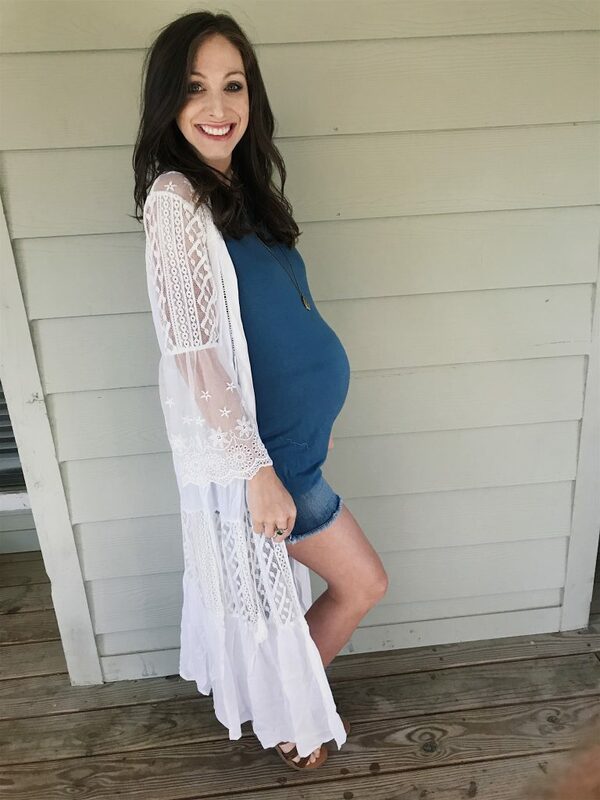 And they sell both maternity clothing and non-maternity, so most everything can go both ways for you. 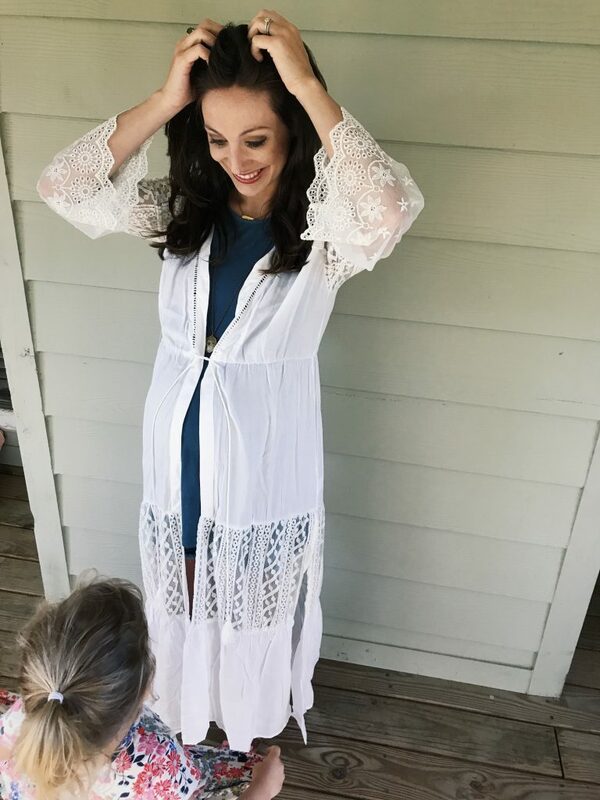 This white lacy kimono is a dream. It can go with seriously so many things. On top of a fitted dress, as a bathing suit cover up, or with a shorts outfit like I chose for today! I also thought the blue and white combo was perfect for 4th of July week 🙂 I do need some red accessories though, I didn’t even realize I have NONE until I thought about the 4th this year. Oops. 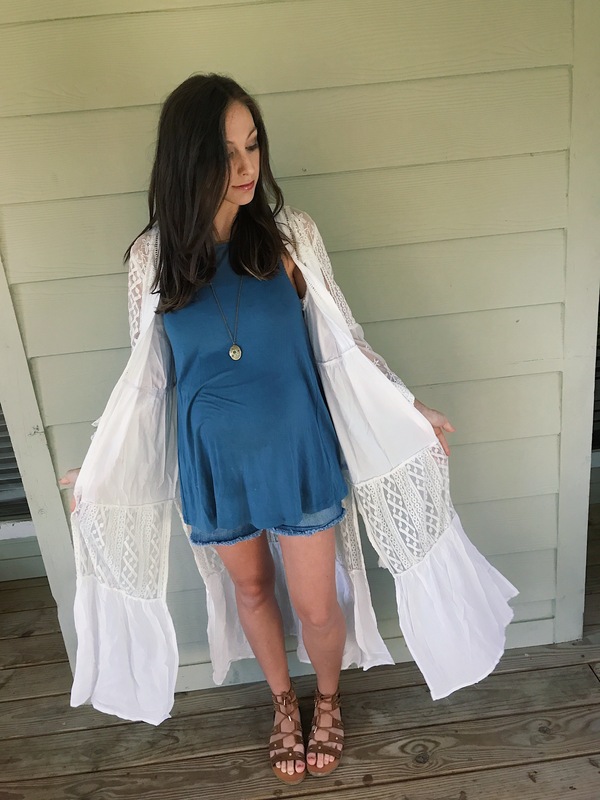 Here’s how I styled the kimono for the daytime this week! 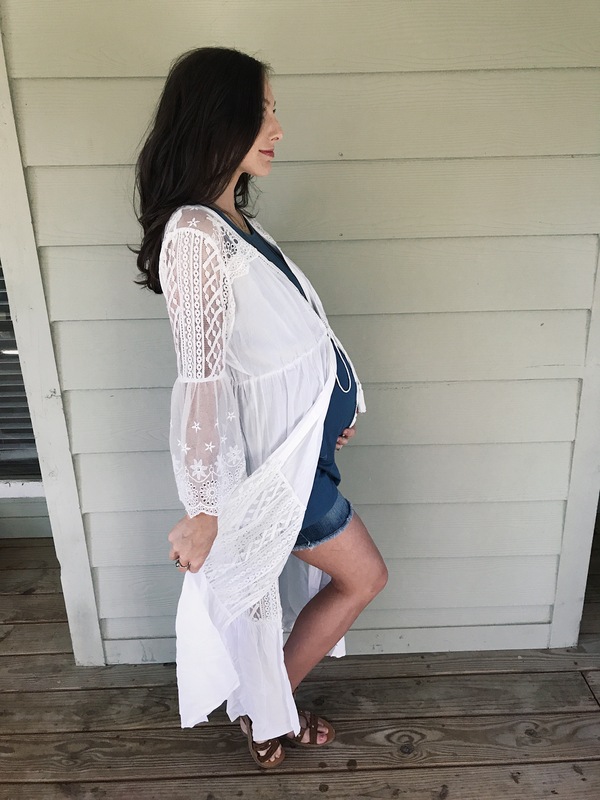 Shop their new trendy maternity clothes here. Her photography is gorgeous, you can see more of her here. Quinn was obsessed too, she wore it around the house for a while before the pictures haha!